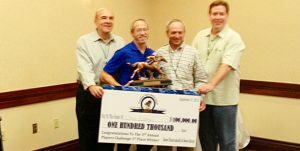 Tournament Directors from Keeneland and Monmouth Park, along with one of the most successful contest players of all-time, highlight the list of speakers at the Second Annual National Horseplayers Championship (NHC) Contest Workshop in Tucson on Monday, Dec. 3, the NTRA announced. The NHC Contest Workshop, which will be held on the eve of the University of Arizona’s 45th Annual Global Symposium on Racing and Gaming, will take place at Loews Ventana Canyon Resort in the Catalina Room from 3-5 p.m. MST. The two-hour session will cover contest formats, marketing tactics, insurance bonus programs, and other factors that can help drive contest participation and revenue. Admission to the workshop is free and the event is open to racetrack operators, marketing executives, contest operators, horsemen’s representatives, regulators and others. Attendees who also register for the symposium held the following two days will receive a $500 discount off the first NHC spot they purchase in 2019. Veteran contest operators Jim Goodman (Keeneland) and Brian Skirka (Monmouth Park) will make presentations on how to host successful contests. 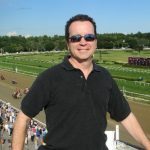 NHC Hall of Famer Chris Larmey, who also chairs the NHC Players’ Committee, will provide his perspective on why contests have proven to be so popular among horse racing customers. John Unick of IOA (Insurance Office of America) will outline various insurance bonuses available at discounted pricing. The NTRA also will provide research findings on contest players and provide updates on the 2019-20 NHC and NHC Tour. Individuals interested in attending can RSVP by emailing Michele Ravencraft at .